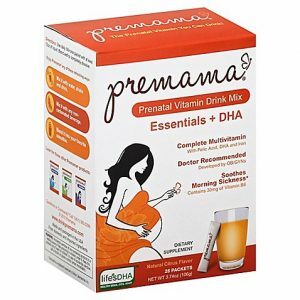 **Premama® Prenatal Vitamin Drink from bedbathandbeyond. Price: $11.78. Discount: $11.71. Categories: Health, Supplements, Vitamins, Prenatal. Deal Rating: 5 Stars out of 5. Store Rating: 5 Stars out of 5. Deal Recommendation: Recommended. Available Until: Limited Quantity. Thoughts: Clearance – Premama® Prenatal Vitamin Drink. Deal Score: 80 out of 100. **BrainStrong Prenatal Multivitamin Plus DHA Tablets and Softgels by Cardinal Health Pharmaceutical from discountmedicalsupplies. Price: $28.32. Discount: 46%. Categories: Health, Prenatal, Supplements, Sponsored. Deal Rating: 5 Stars out of 5. Store Rating: 4.8 Stars out of 5. Deal Recommendation: Recommended. Available Until: In Stock. Thoughts: BrainStrong Prenatal Multivitamin Plus DHA Tablets and Softgels. Features: BrainStrong Prenatal is not only designed for brain health with optimized nourishment for both you and your baby, it’s powered by life’sDHA™, the premium DHA. Is the only complete over-the-counter prenatal multivitamin with 350mg of the omega-3 fatty acid DHA, a natural brain nutrient essential for the development of a baby’s brain. BrainStrong Prenatal also contains 100% of the recommended daily dose of folic acid for fetal health and development. **Similac Prenatal Multivitamin + DHA/Lutein Dietary Supplement from discountmedicalsupplies. Price: $25.42. Discount: 46%. Categories: Health, Prenatal, Supplements, Sponsored. Deal Rating: 5 Stars out of 5. Store Rating: 4.8 Stars out of 5. Deal Recommendation: Recommended. Available Until: In Stock. Thoughts: Similac Prenatal provides nutrients to support both mom and baby during pregnancy and breastfeeding. It has Lutein and DHA for mom to help support her little one’s developing eyes and brain. Contains 30 Multivitamin and Mineral Tablets, 30 DHA/Lutein Softgels. Meets 100% of the recommended Daily Value for 13 essential vitamins and minerals. Similac Prenatal goes beyond the essentials: DHA and lutein in addition to 22 essential vitamins and minerals. Similac Prenatal to help replenish important nutrients for mom during pregnancy and breastfeeding. Natural vitamin E to support immune health. Vitamin D is essential to help support calcium absorption for bone growth. Iron to help support fetal brain development. Folic acid to help support fetal brain development. **Pregnancy Plus Peapod Prenatal Cal-Mag Dietary Supplement from discountmedicalsupplies. Price: $21.15. Discount: 46%. Categories: Health, Prenatal, Supplements, Sponsored. Deal Rating: 5 Stars out of 5. Store Rating: 4.8 Stars out of 5. Deal Recommendation: Recommended. Available Until: In Stock. Thoughts: Intended for use in combination with PregnancyPlus Prenatal or FertilAid® for women. Provides 50% Daily Value of both calcium and magnesium to ensure adequate dietary intake of these key minerals. Helps maintain your stores of calcium and magnesium and vitamin D during pregnancy and lactation. Contains the nutrients most needed for maintaining bone health. Includes two different forms of both calcium (calcium carbonate and calcium citrate) and magnesium (magnesium oxide and magnesium citrate) for enhanced absorption. Contains no yeast, wheat, soy, dairy, gluten, artificial preservatives or artificial flavors. **Enfamil Expecta Prenatal Dietary Supplement from discountmedicalsupplies. Price: $284.21. Discount: 45%. Categories: Health, Prenatal, Supplements. Deal Rating: 5 Stars out of 5. Store Rating: 4.8 Stars out of 5. Deal Recommendation: Recommended. Available Until: In Stock. Thoughts: Enfamil Expecta Prenatal Dietary Supplement helps support you and your baby’s needs. Choline and DHA helps support brain development. Folic acid and Iron support central nervous system. Calcium and vitamin D support bone health. Vitamin C and vitamin E support immune system. Enfamil® Expecta prenatal dietary supplement has more vitamin D than the other leading brand. Helps support your baby’s brain development With choline and has DHA. Provides 100% DV of folic acid. 30 multivitamin and mineral tablets, 30 DHA softgels. Non-fish source of DHA, mercury free. **Stuart One Prenatal Multivitamin from discountmedicalsupplies. Price: $29.16. Discount: 47%. Categories: Health, Prenatal, Supplements. Deal Rating: 5 Stars out of 5. Store Rating: 4.8 Stars out of 5. Deal Recommendation: Recommended. Available Until: In Stock. Thoughts: From the brand that’s been trusted for more than 30 years comes Stuart One, the new once-daily prenatal vitamin providing mommy-to-be with the essential nutrients she needs for her beautiful miracle to grow strong. One softgel, once a day for essential nutrition. 55% Smaller pill than other prenatal vitamins. Essential vitamins and nutrients for every stage: preconception, pregnancy and lactation. No fish oils – no fish burps. Plant-based DHA for baby’s cognitive and visual development. Affordable, essential prenatal health conveniently available OTC. **Centrum Specialist Prenatal Tablets from discountmedicalsupplies. Price: $30.62. Discount: 45%. Categories: Health, Prenatal, Supplements. Deal Rating: 5 Stars out of 5. Store Rating: 4.8 Stars out of 5. Deal Recommendation: Recommended. Available Until: In Stock. Thoughts: Centrum Specialist Prenatal Tablets and Softgels by Cardinal Health. Features: Tablets and Softgels. Supports Baby’s healthy growth & development with DHA & folic acid. Multivitamin/Multimineral. 56 count.